This looks like a pretty decently spec'ed phone coming out. Looks like it could be priced for around $155 which is a pretty good price for what you get. 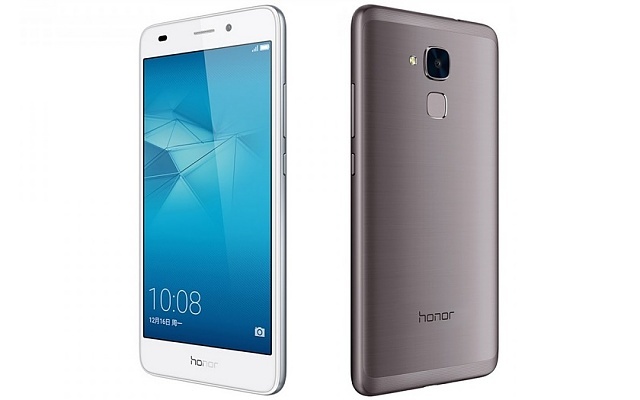 The Honor 5C has a 5.2-inch IPS LCD screen with 1080p resolution and is powered by Huawei HiSilicon's Kirin 650 chipset. A mid-range unit, it's got eight low-power Cortex-A53 cores running at 1.7 GHz and 2GHz per cluster of four, supplemented by the ARM Mali-T830 GPU and 2GB of LPDDR3 RAM, along with 16GB of expandable storage, 3,000mAh battery The 5C measures 147.1 x 73.8 x 8.3mm and weighs 156 grams. A 13MP (f/2.0 aperture, 5P lens) camera on the back and 8MP one on the front. A fingerprint scanner on the back, it also has an FM radio receiver, and ships wth Android 6.0 Marshmallow, topped off with Huawei's EMUI 4.1 interface. I do like that they are going toward the 5.0" screen size. If they can tone down the UI as stated in Andrew's review of the 5X, this might be a good phone for a backup. New NBA playoffs edge panel! I purchased a new ZTE phone.